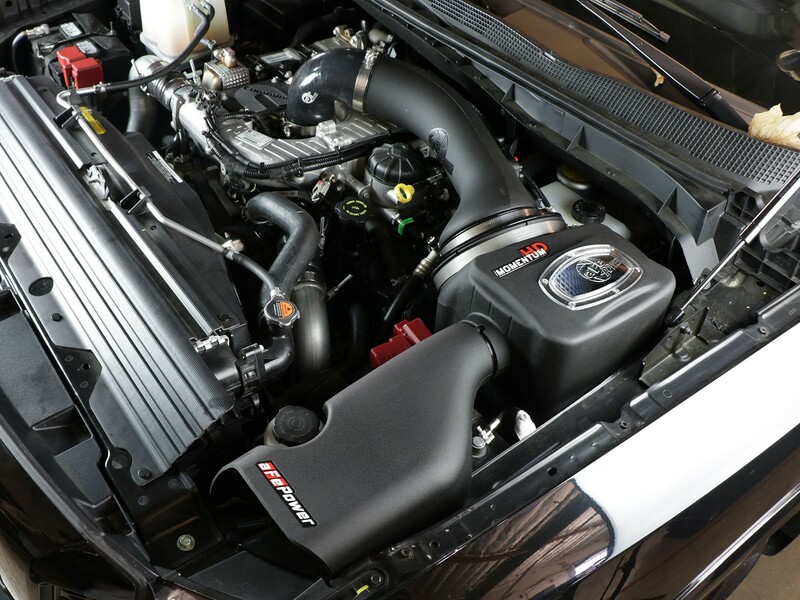 The Nissan Titan XD Momentum HD Cold Air Intake System for the Cummins Diesel features a roto-molded one-piece housing to protect the air filter from hot engine bay temperatures, including a larger diameter intake tube for maximum airflow for improved horsepower and torque. 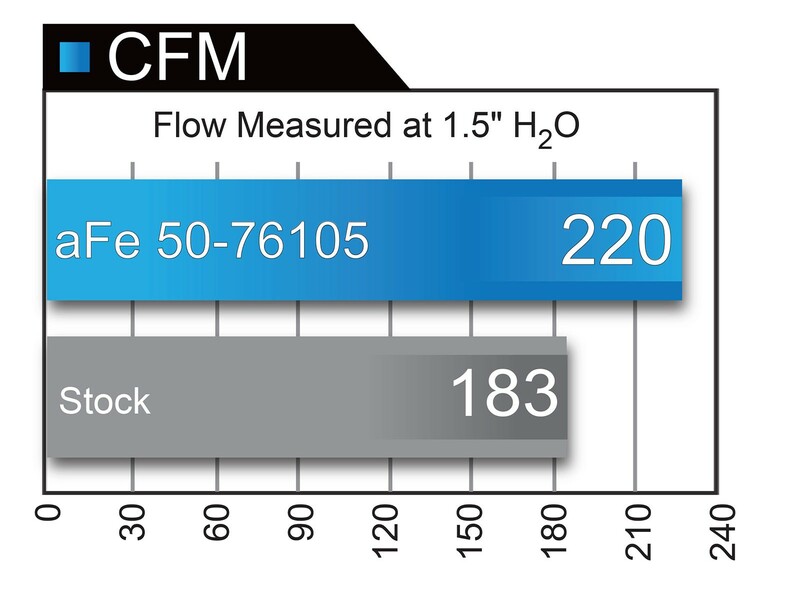 A large, clear sight window is used for a hassle-free filter inspection and unique aggressive styling. The included urethane plug can be used to block off the auxiliary air inlet, or you can add our optional extra large air scoop which directs the coldest air possible from the front of the truck. The aFe Power SCORCHER® Module alters the pressure sensor signals to increase boost to an optimum level throughout the entire RPM range. 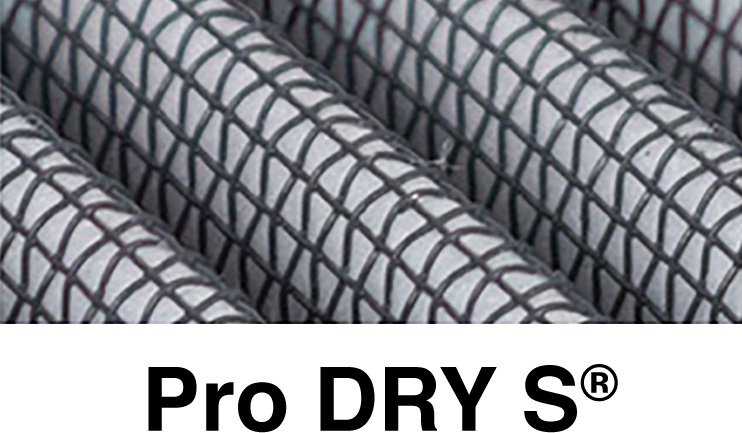 • No Cutting, Drilling or Splicing Req. 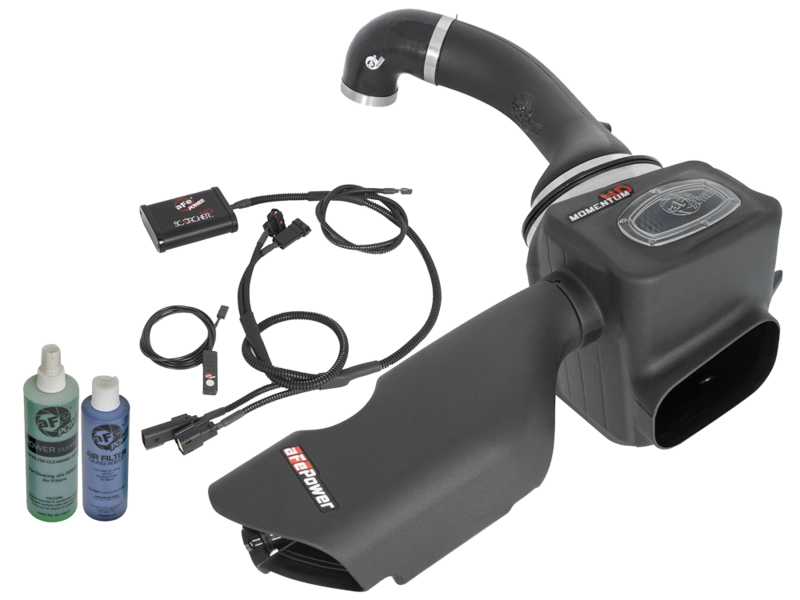 We've made it simple to get the best bang for your buck by packaging the Momentum HD Intake, the Dynamic Air Scoop, Scorcher HD Module together in one box, even throwing in a filter cleaning kit, creating the Momentum Scorcher HD Combo Pack. 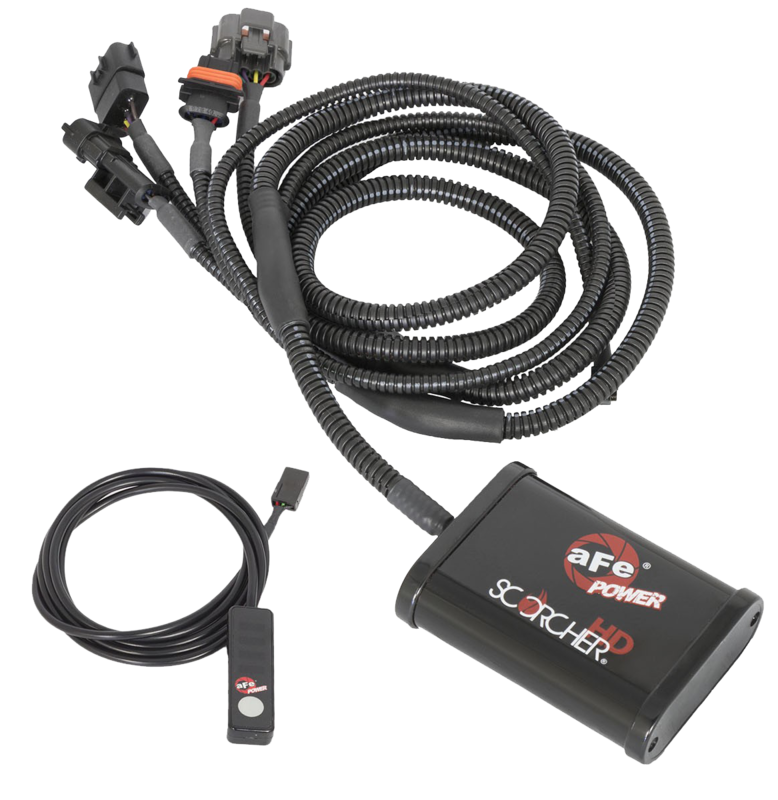 This kit gives the airflow the Scorcher HD can take advantage of, delivering massive power you can feel, and when packaged together is over $125 in savings. Bigger is better. 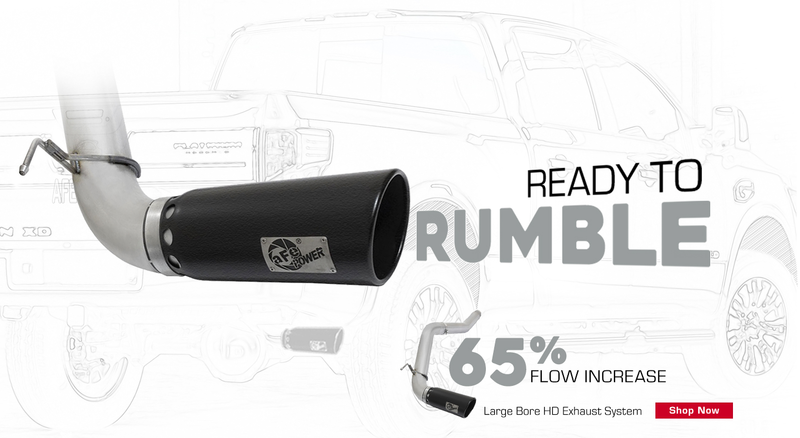 More flow is mandatory when upgrading your Nissan Titan XD Cummins. 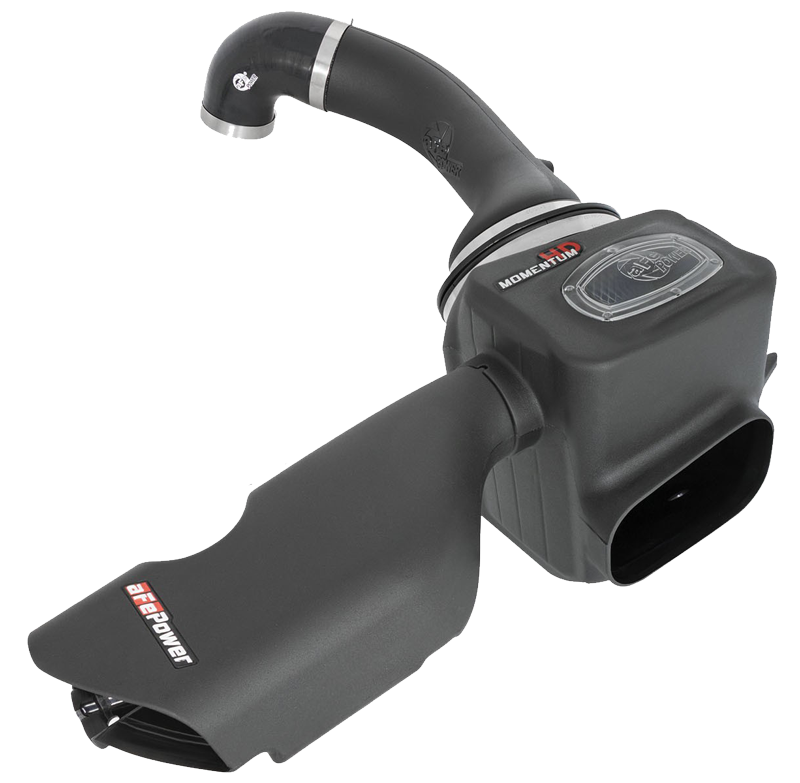 The aFe POWER Large Bore HD 5" DPF-Back Stainless Steel Exhaust System delivers 65% more flow over the stock exhaust. A simple bolt-on upgrade, the Large Bore HD uses factory mounting locations and OE-style bayonet hangars for a hassle-free installation. 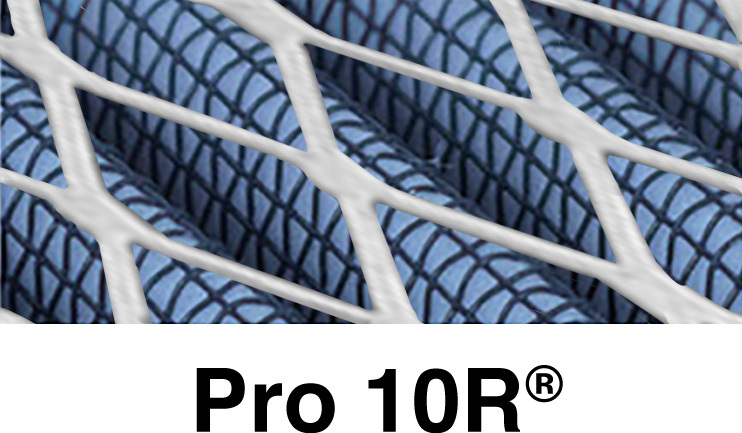 5" mandrel-bent stainless steel tubing provides smooth transition bends for low turbulence, increasing horsepower, torque and lowering EGT's. The Titan XD Exhaust is finished with a giant 6" intercooled stainless slash cut exhaust tip, available in black or polished finish. aFe POWER Titan XD Exhausts are also available as a 4" Large Bore Stainless Steel and are also available as an Atlas Aluminized version.